beautiful« and »most important« in cinematic history. Trained in Anthropology, I was never pleased with the appropriation of the term "Structuralism," by Sitney, or any other film theorist. Took a term with explicit meanings and turned it into sludge. 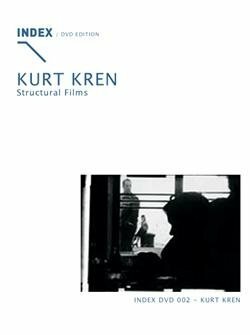 Regardless, Kren's films bear little resemblance to Snow's or Gidal's films, two experimental film makers associated with the term, "Structural." I loved most things on the disc, but "TV," "Schatzi," and "Tree Again" are riveting.